We woke up to a cool Sunday morning. Dashed was our morning swimming plan. 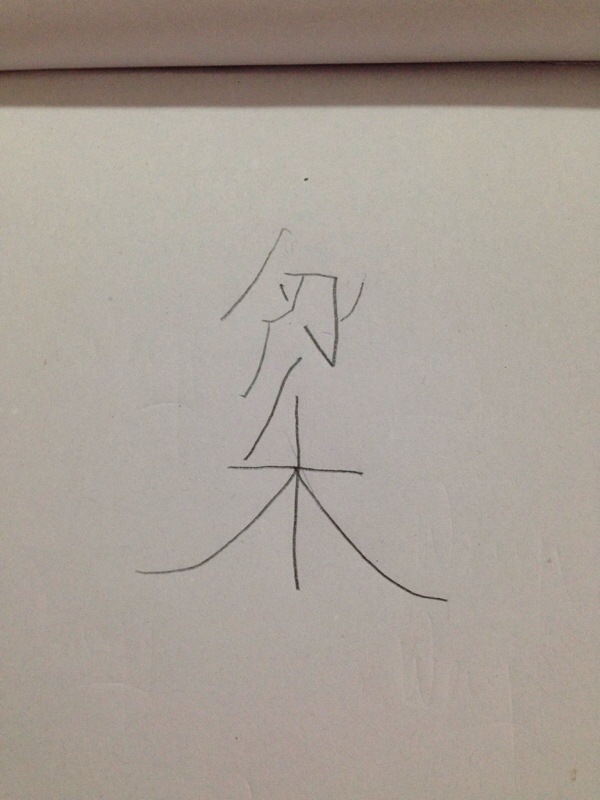 Alternatively, 宝贝 practised her calligraphy. Looked more like drawing to me though. A very serious calligrapher she was. My mom has been practising with her on this word for a long time. Can you make out what it is? Her surname – 梁. A lot of room for improvement. She’s better with her ABCs. 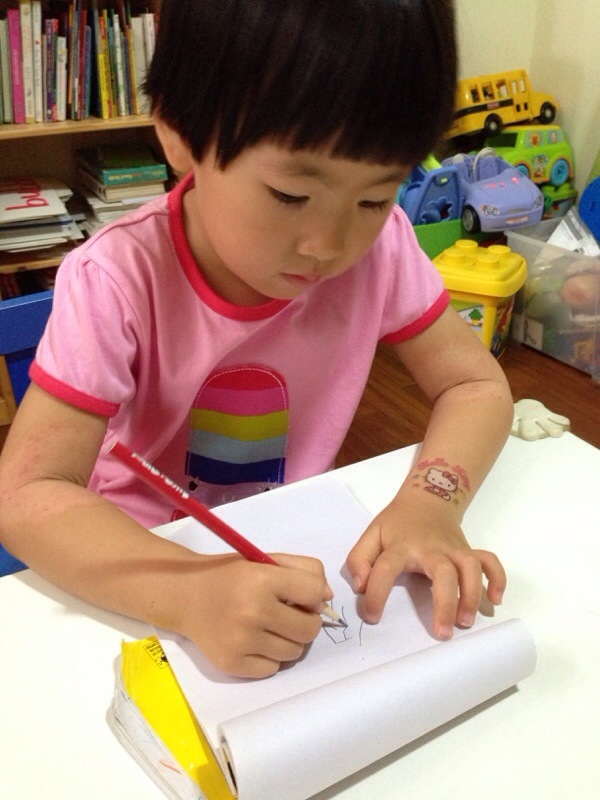 Next year she’s supposed to be able to write her full Chinese name. She’ll need lots of practice. Thanks to her sadistic parents.